This shop for Chicken Tinga Tacos has been compensated by Collective Bias, Inc. and its advertiser. All opinions are mine alone. 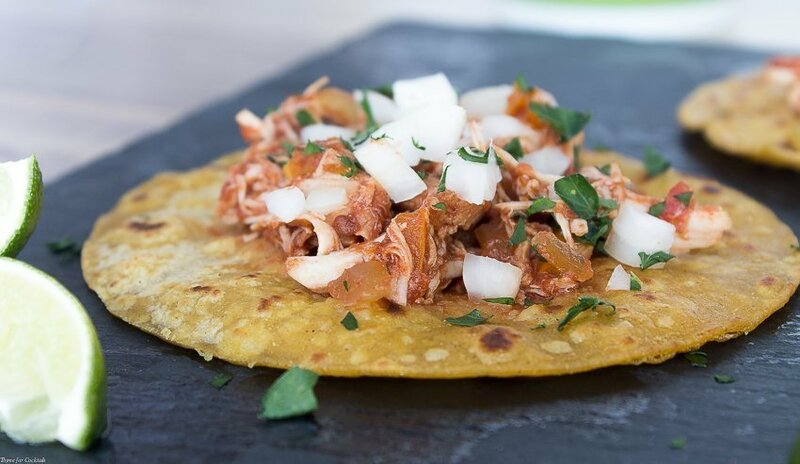 #KingOfFlavor #CollectiveBias Take game day on the road with these Tailgate Travel Tips and a recipe for spicy Slow Cooker Chicken Tinga Tacos. Be prepared for anything with packing tips, road trip game ideas and more! In the fall Saturday at the casa are reserved for college football and all the tailgate food you can image! I grew up in a college town plus my family’s alma mater was a 2 hour drive away, so tailgating is in my blood. If we weren’t spending the weekend with family or sharing a hotel with friends to watch the game live, it was on TV at home. We still support my home teams with the same enthusiasm! 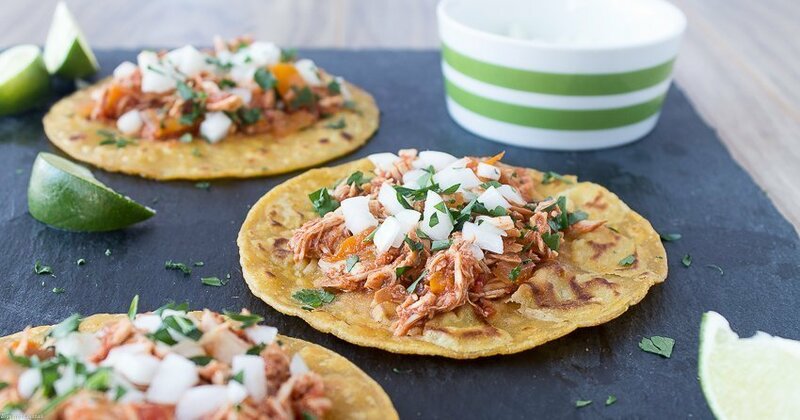 And the menu is anything but boring with delicious recipes like my Slow Cooker Chicken Tinga Tacos made with flavorful El Yucateco® Red Habanero Hot Sauce from Fry’s Food Store. 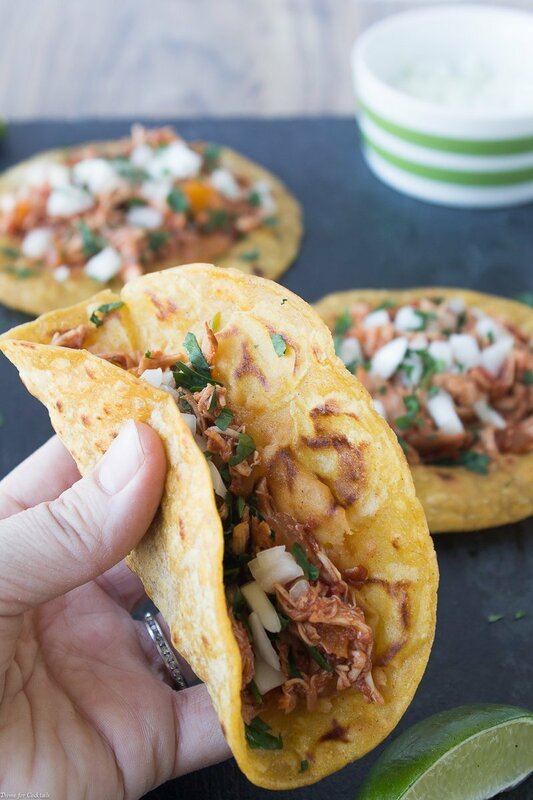 And if these tacos aren’t spicy enough for you, add a dash of your favorite El Yucateco® sauce for extra heat. 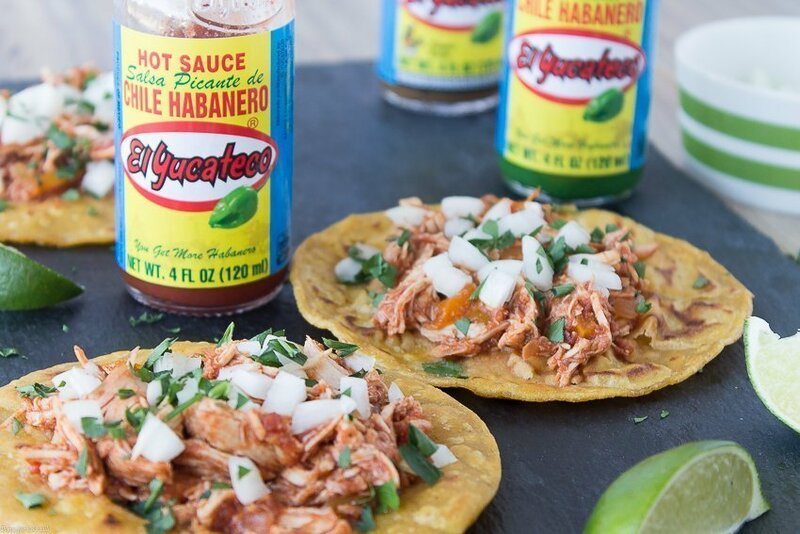 We love that El Yucateco® is the #1 authentic habanero hot sauce. El Yucateco® is giving entrants the chance to win one-of-a-kind tailgating and homegating packages and MORE! We decided to keep things simple on the taco toppings folks. I know you are used to seeing a variety but cilantro, diced white onions and a squeeze of lime make my taste buds sing! How simple is this dish folks. 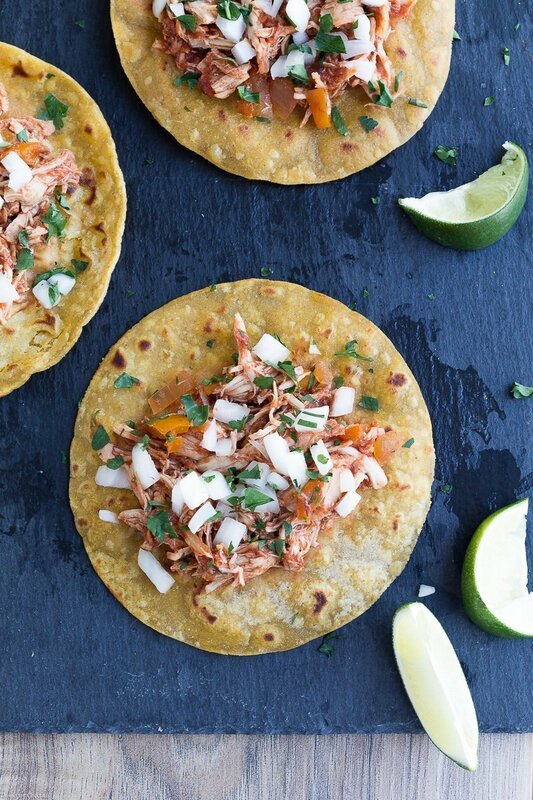 El Yucateco® Chipotle Hot Sauce would be a great addition in this recipe as well. Part of the experience tailgating as a kid was always the road trip with full tailgate for away games! You have to get creative with tailgating on the road otherwise you end up bored, uncomfortable, usually cold and eating the same grilled chicken or sub sandwiches. 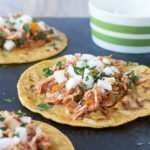 Follow these tips and you will be able to enjoy these Slow Cooker Chicken Tinga Tacos just about anywhere. 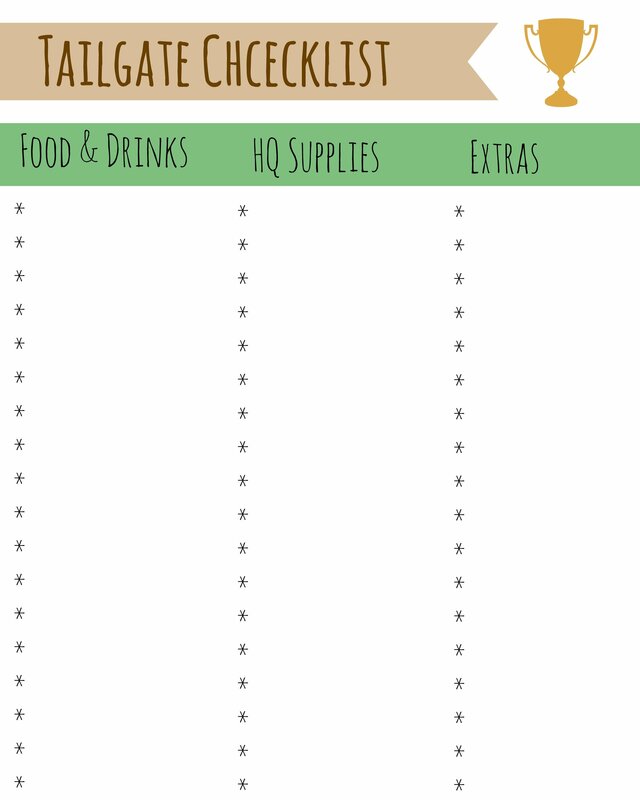 Approach packing your tailgating like a small military mission. Start by writing down EVERYTHING you think you might need for your away game experience. Don’t worry if it is super long, you can always leave things out! One hack we had for slow cooker goodies was to prep the recipe at home. 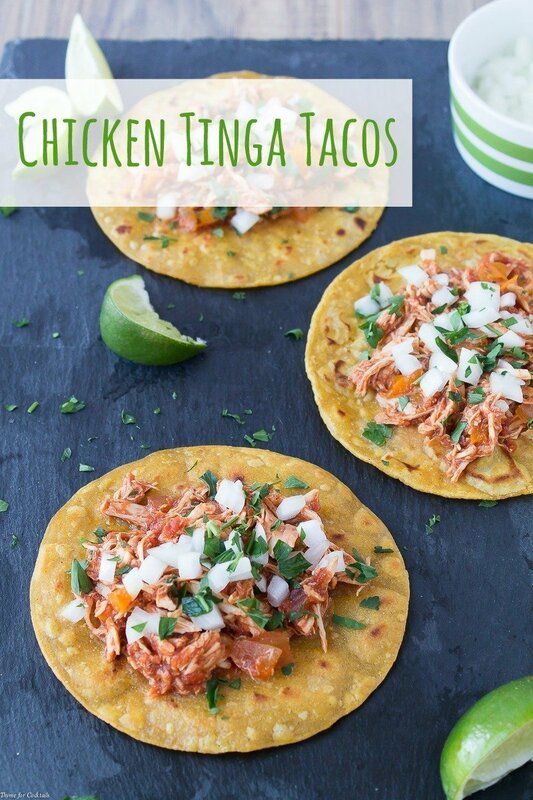 Just assemble everything for these Chicken Tinga Tacos in the slow cooker then pack it on ice in the cooler. It traveled well and eliminated the need for containers of ingredients. 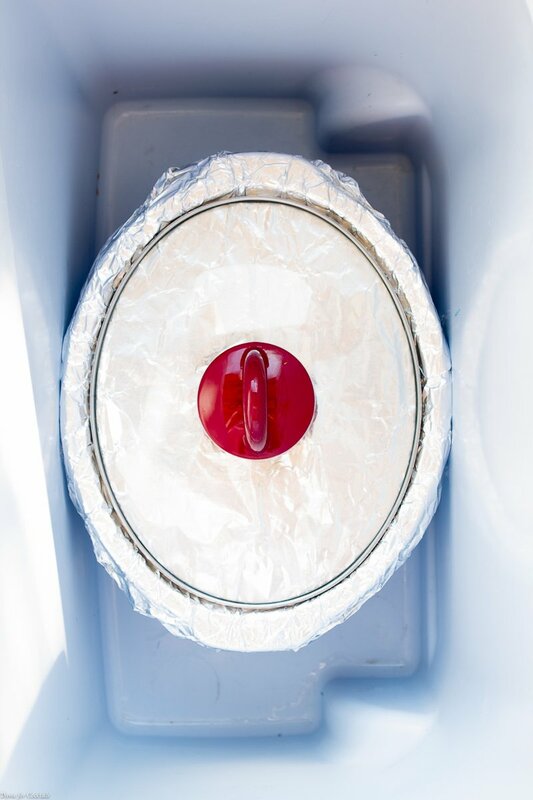 Once we got to our destination we’d plug the slow cooker in for the win! When you are pack your cooler put items that need to stay coldest on bottom and work your way up. Start with a layer of ice then your meats and casseroles (or slow cookers). Top with another layer of ice then add items like your sides and toppings in sealed containers. Air is your enemy so keep adding ice in and around items as you pack. I like to loosely wrap any produce in paper towels, place unsealed plastic bags and lay them on top! And don’t forget to tuck items like blankets, towels or sleeping bags around the cooler once it is in the car. It will help keep things colder longer. 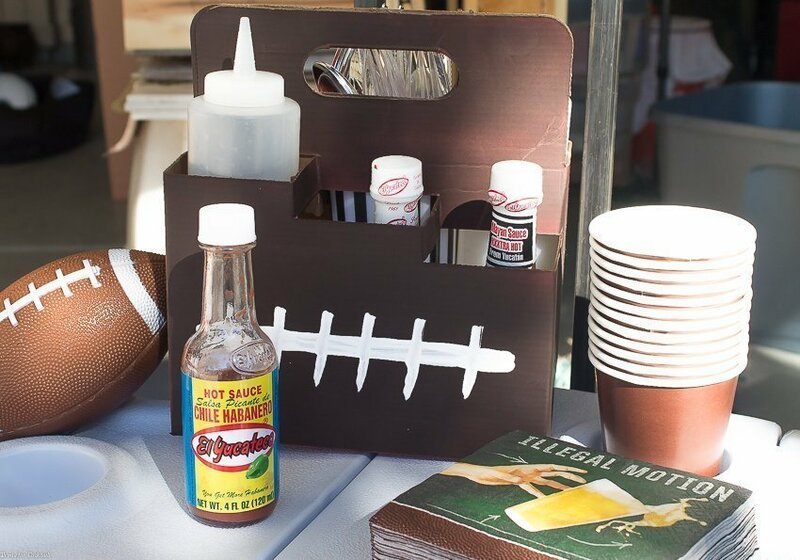 This condiment carrier is also a fun and easy idea for tailgating! 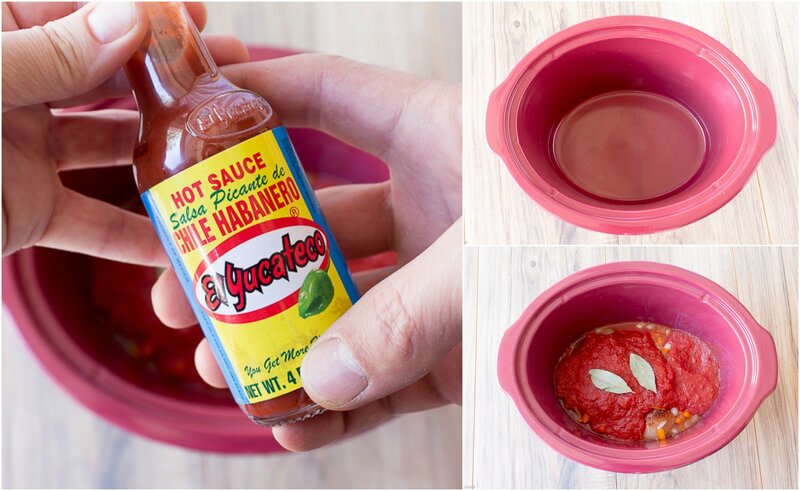 Spray paint a cardboard 6-pack carrier with your team colors (we kept it neutral with this football theme) and pack it with condiments, utensils and your favorite El Yucateco sauces! Once you are all packed, load up a playlist of your favorite game day tunes and hit the road in style! We like to ditch our electronics while in the car in favor of some of our favorite classic road trip games likes I Spy, the alphabet game and the kiddo’s favorite, slug bug! 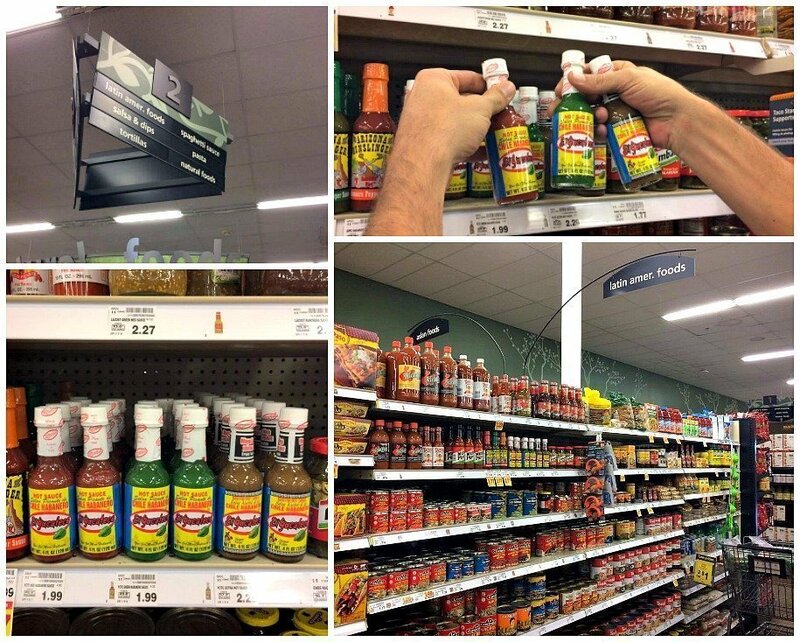 How are you going to use El Yucateco® Hot Sauces to amp up your game day experience? 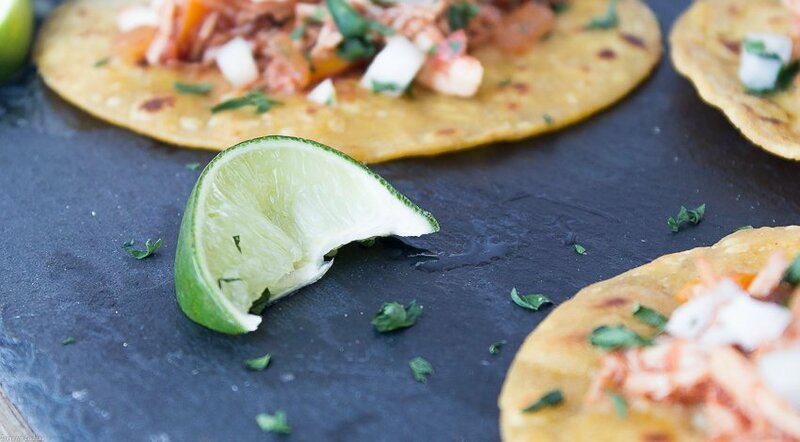 Take game day on the road with these Tailgate Travel Tips and a recipe for spicy Slow Cooker Chicken Tinga Tacos. Be prepared for anything with packing tips, road trip game ideas and more! Cook on low 6-8 hours or on high 3-4 until chicken is done. Sounds so delicious and easy to do and I’m sure I have all those ingredients at home! I will have to make it this weekend!! Let me know what you think. They are pretty spicy but delicious! Diane, you could always serve the chicken on slider buns instead! We do that sometimes too.